I go to my office every morning. I leave the house at 7:00 and get to the train station about 7:10. After I get to Manhattan, I walk to my office. I usually get to the office by 8:30. Sometimes I go to the deli to pick up breakfast. I go home around 9:00pm, and sometimes I get home as late as 12:00 midnight. 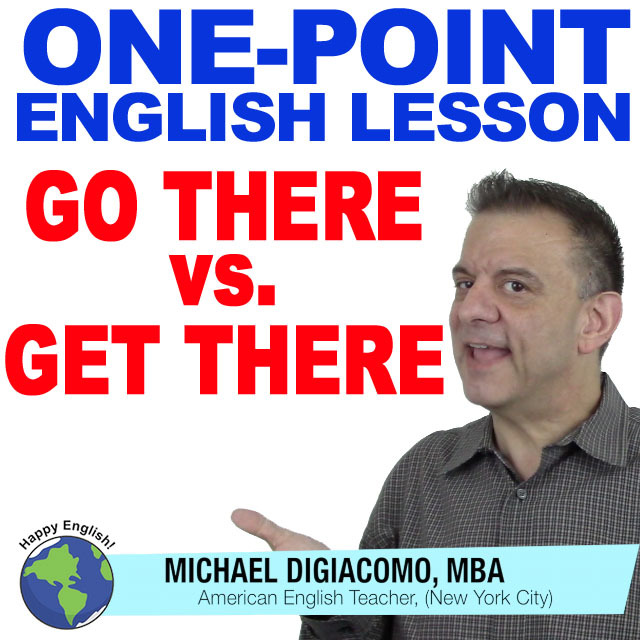 Today I am going to show you the difference between go to a place and get to a place and how to use these words in your English conversations. Some students have trouble with these using go and get, but the difference is pretty clear. I go to my office every morning. Sometimes I go to the deli to pick up breakfast. I get to the train station about 7:10. After I get to Manhattan, I walk to my office. I usually get to the office by 8:30. What time do you usually get to your office or school? Leave a comment in the box below and practice these words!